Citation Flow (CF): Looks at the overall authority of a domain or URL – the overall “link juice, link equity, authority” regardless of link quality. Trust Flow (TF): Looks at the strength of the links based on the quality of the links pointing to a domain or URL. It’s a prediction of “trust” of links. In my opinion, I see Trust Flow as one of the most exciting SEO metrics because there is nothing else like it. But, before digging into what Trust Flow is all about, it’s good to understand what Citation Flow is and the strengths and weaknesses of relying on these overall “Authority Metrics” like Citation Flow. Citation Flow is essentially a measure of the overall site’s link equity. 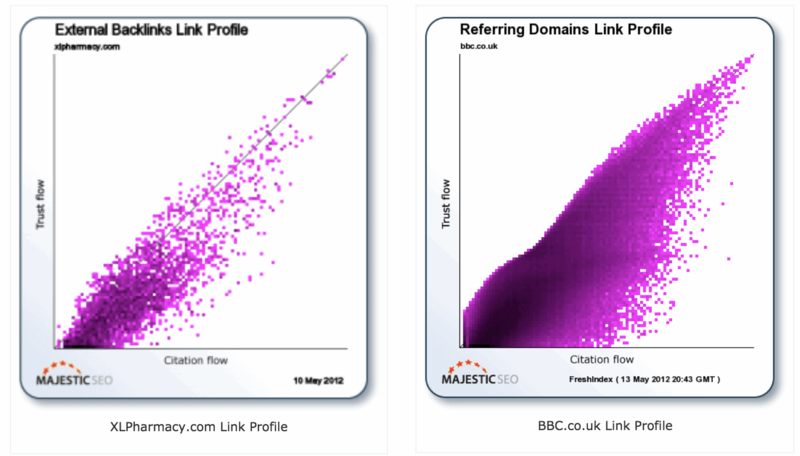 The Citation Flow is a number on a scale of 0-100, that predicts the authority of a domain or URL by looking at the number of links pointing to it. So essentially it’s an “authority” metric that is meant to predict the overall amount of links pointing to your site. Citation Flow does not take into consideration the quality of links. This is a very important distinction that is often overlooked when analyzing these types of authority metrics. Trust is an extremely important factor in SEO (one of the most important, besides relevancy). So why is it that so many SEOs seem to rely on only using DA, DR, CF (name your favorite metric)? To be honest, I am not sure. I personally would never rely on one metric and view that as gospel like I see so many in the SEO community do. There are so many metrics and measuring sticks we can use at our disposal to get a better overall picture. Usually looking at one metric is only one piece of the whole. You know the old saying – it’s not about quantity, but quality. Though it is a cliche, it is certainly true in the case of obtaining backlinks. And it’s one you must be very aware of. Otherwise, you will start to look at these authority metrics as an absolute, definitive metric. But they aren’t definitive. They are all relative, paint a partial picture and can be (fairly easily) manipulated. An example is, you can have two sites with very similar Citation Flow, yet only one of the two is getting the lion’s share of traffic. That’s because these metrics look at the sheer quantity of links, not at the quality or relevancy. Since we all know that Google is much more sophisticated than such a simple analysis, why would we judge site under the same premise? The reality is that Google looks at so much more. Google doesn’t look at the quantity of links alone, they look at quantity through a lens of quality, trust, relevance & more. So why is Citation Flow (or any other authority metric such as DA, DR, etc) not enough by themselves? Simple: Because they can be manipulated and they don’t tell the full story. An example would be this: Imagine a black hat SEO was to build thousands and thousands of cheap, easy links on article directories, PBNs or other low-quality link sources. In this case, it’s likely to raise the Citation Flow, DA, etc. But how well do you expect the site to rank and receive traffic? Not very well. They could be a talented black hat and use a quality PBN, but still, Google would likely catch on in the future (near or distant) and the site’s traffic would plummet – but the Citation Flow wouldn’t plummet. So you can’t really judge how good a linked profile is based on the Citation Flow alone. That’s where the beauty of Trust Flow comes in. It takes a 2-D picture and adds a little more dimension – the dimension of Trust. This is why it’s such a unique and important metric for SEO. Since it is dealing with trust, Trust Flow is much harder to manipulate than Citation Flow, Domain Authority, Domain Rating, etc. It was around 2012 when Majestic SEO came out with new flow metrics called Citation Flow (CF) and Trust Flow (TF). At that time, people were still relying on PageRank, MozRank, etc. Majestic’s new tool was actually pretty revolutionary when it came out, compared to the metrics people were using at the time. And guess what? Trust Flow is just as useful today, if not more, as Google’s understanding of natural links has gotten better. TF looks at the quality of links, rather than an emphasis on quantity like all the other metrics (CF, DA, DR). Trust and quality of links: That’s where Trust Flow comes in and is where Majestic really separates themselves from the competition. Like CF, Trust Flow is represented as a scale of 0-100. It is a prediction of the overall quality of those links. Said another way, Trust Flow is a prediction of how trustworthy a domain or specific webpage is, based on its links. The way Majestic calculates trust flow is by looking at a set of trusted seed sites first. Majestic SEO actually created a database of seed sites that they manually vetted and deemed “trustworthy.” These seed sites make the Trust Flow (TF) calculation possible. Essentially, the idea is that the closer a site is linked to the seed sites, the higher the trust flow score would be. Interestingly enough, Google may employ similar techniques for their updated PageRank, in order to gauge trust. So this is assuring to see that Google may be using a similar metric within their PageRank algo. I believe Trust Flow to be such a valuable metric for SEOs. TF is a unique SEO metric and one that I consistently use. Overall, you can take the Citation Flow and Trust Flow metrics to gauge the quantity and quality of a link profile. TF just gives you that extra bit of data to look at. 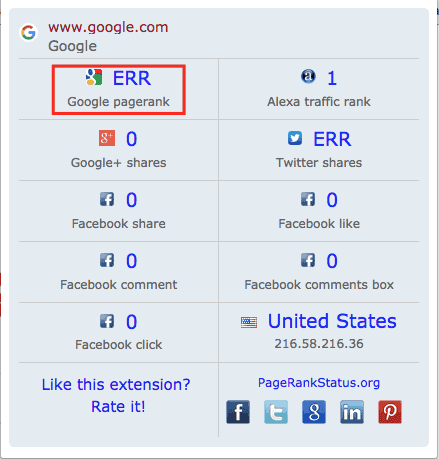 Google’s claim to fame for their search engine algorithm for Google, was PageRank. PageRank was a revolutionary idea at the time and forged Google’s path as one of the most successful companies in existence. PageRank was a new way to rank documents on the web. It worked by looking at the number of links that a document or webpage received. It was an ingenious method that made Google a far better search engine than Yahoo, Ask Jeeves or any other search engine of the day. PageRank was much more simple back in the early days and has advanced a lot since then. Google used to show a public version of the PageRank metric. Naturally, many SEOs would rely on this metric to gauge the quality of a backlink or site. However, after around 2014, Google stopped updating the public version of PageRank. They still used it internally, but they stopped updating the public metrics. So PageRank became a thing of the past for most seasoned SEOs, but you still see people (likely those new to SEO or black hat SEOs) talking about “high PR” sites. If someone talks in this vernacular, it would be safe to assume that their advice may be a bit outdated. Yes, we know that Google is likely using PageRank internally, albeit a much more advanced version now. However, since they aren’t updating the public facing PR metric, there is no use for us SEOs to continue using it as a metric. It’s really old school SEO as far as I’m concerned and the only reason I talk about PageRank is when referring to their internal processes of how they rank websites – the theory behind how the search algorithm actually works. If you’ve never read about the idea of how PageRank works or reading the PageRank patents, it’s actually quite interesting. Speaking of, that is one reason why I like SEO By the Sea by Bill Slawski. They have a lot of blogs posts explaining various SEO patents in laymen’s terms. It’s also valuable actually reading the patents yourself since you can pick up even more info on how Google’s algorithm works. SEO software companies came out with their own metrics. Moz came out with domain authority (DA), page authority (PA) and MozRank. Ahrefs came out with domain rating (DR) and URL Rating (UR). And Majestic came out with Trust Flow (TF) and Citation Flow (CF). Google looks at a lot of things, but we can all agree that they are looking at the quality of links, the number of links, and the relevancy of links. These metrics just scratch the surface to what Google likely employees. Each of these measurements of authority has their own pros and cons, but the biggest benefit of Majestic is their Trust Flow metric. TF takes a look at the prediction of trust whereas most of these other measurements of authority don’t really focus on trust or quality like TF. So how do you measure your Trust Flow? The most obvious choice is you can sign up for a subscription to Majestic. Though you can sign up for a free subscription, there are many circumstances that a paid subscription is necessary. Sometimes you need to do a bulk analysis of multiple sites, such as when you are using trust flow for audits, link prospecting, and competitive analysis. If you are just wanting to check the TF and CF of your site though, then the free options listed below will work just fine. Keep in mind that you must own the domain to do this on a free account. You can also check out the Majestic browser extensions for Google Chrome or Firefox. Obviously, a Majestic account gives you the best use of their tools to work with Cit. Flow/ T. Flow data. With a subscription, you can check trust flow on a list of sites, export trust flow, etc. However, there is one tool I recommend if you want a full SEO suite of tools, that also includes Trust Flow/ Citation flow metrics. One of my favorite tools for measuring a variety of authority metric is serped. Serped is great because you type in the website and it automatically pulls in the data from moz and Majestic (among many others). You can also export the data just like with a majestic subscription. However, the only drawback to serped is you can’t do bulk URL/ Site analysis like you can in Majestic. Also, another really cool thing that I haven’t seen in any other SEO tool: it not only pulls the Trust Flow and Citation Flow data straight from Majestic, but and it also calculates the trust ratio! This trust ratio is such an important metric and one I use all the time. So it’s nice to see all this data in one tool. You may look at Trust Flow and see that there is a connection between Trust Flow and organic traffic. While this is often true, it is only a correlation. More often than not though, I’ll see higher Trust Flow sites (esp. higher TR) getting more traffic. This makes sense on a few levels. Firstly, a higher Trust Flow means it should theoretically have higher quality links. Therefore Google sees it as a higher quality website. But secondly, if the site has high-quality links it also likely has higher quality content, which has the benefit of good user behavior signals. What if your Citation Flow is way higher than Trust Flow? 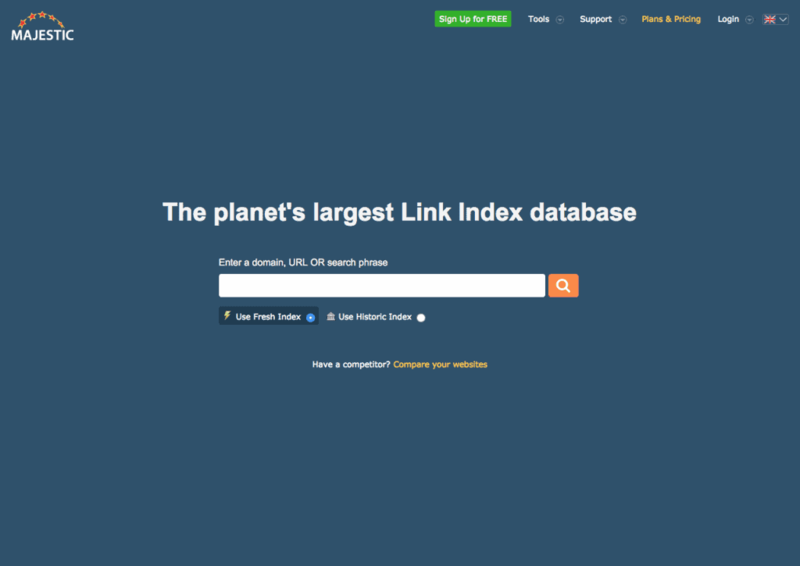 : This situation may indicate that you have a lot of links but they are not the best quality. Shoot for a trust ratio of 0.40 or higher (see below). What if my Trust Flow is higher than Citation Flow? : It means you likely have a lower amount of links, but the links you do have are higher quality links. What if TF and CF are about equal? : This is a good situation as well because it means that the links you have are trustworthy. What if TF is just a little lower than CF? : It is normal to have a lower TF, so if it is a little bit lower or moderately lower, that is normal. You just don’t want it to be a lot lower. The ideal situation is to have a high Citation Flow, along with a hight Trust Flow, which could indicate you have a lot of authority and more importantly, a trusted authority. When doing link building and outreach, the Trust Ratio becomes incredibly important. The Trust Ratio is simply a ratio between Trust Flow and Citation Flow. The idea behind the TR (Trust Ratio) is if your CF is much higher than your TF, it is a higher likelihood that you are receiving those links from spammy means. When analyzing the interaction between Trust Flow and Citation flow, it’s best to calculate the Trust Ratio (TR) and represent that ratio as a fraction, which gives us a number to work with. This gives us a number to quickly quantify the quality levels of potential link prospects. There are actually two different ways to calculate the trust ratio. After all, it is a ratio, so you could create a ratio by dividing Trust Flow by Citation Flow or vice versa. However, the standard way that SEOs tend to calculate this metric is Trust Flow divided by Citation Flow. For example, if your Trust Flow is only 10 but your Citation Flow is 40 Then your trust ratio is – 10:40=TR (TF:CF=TR). But a ratio doesn’t give us much info. That’s why we represent this ratio as a fraction, so it gives us a concrete number that we can compare to other sites. Putting the ratio into a fraction will allow us to calculate a number that is easier to work with. This TR number will give us a quick indication of link quality, relative to overall authority. So then the question is – what is a good trust ratio? Well, there are many opinions on this, but I typically like to see a TR higher than 0.4, otherwise, it is a higher chance that the site has lower quality or spammy links. What is a good trust ratio? At the end of the day, we need to remember that each of these SEO “metrics” is like painting a picture with one color. When you combine them, the big picture becomes much more vivid. We will never have enough colors to paint the full picture, as Google wants to keep this info proprietary to heed off manipulation. However, it sure does help to utilize many metrics and view SEO from many angles in order to gain a solid understanding of our SEO analysis. Bring it back to you. What is your goto SEO metric and why? Do you use Trust Flow? If not, how are you gauging quality – is it by manual inspection, another metric? Do you use various metrics when doing your SEO analysis? I would love to hear what everyone is using to answer these difficult and often subjective questions. Awesome blog post. Super detailed. It’s pretty shocking that not many SEOs talk about Trust Flow, even though it’s a super important metric. Whenever I check the legitimacy / authority of a site nowadays, I always look at its Trust Flow, in addition to other metrics, of course, such as how much traffic the site is actually getting (lots of traffic and keyword rankings = Google probably likes the site). Super helpful article. Thanks, Gabby! Yeah, it is surprising at how many SEOs get stuck in the “only looking at DA” mindset lol. Great tip on checking traffic! I should have mentioned that in the article, I may have to include that in another post about how to manually check if a site is a high quality in terms of a link prospect, etc. Great tip, since it makes total sense that if Google is rewarding a site with traffic, then Google views them as high quality, likely in terms of their links, but also their value added (content). Trust Ratio has become one of my key signals in vetting outreach sites. So many guest post sites out there are getting diluted with low-quality outbound and even inbound links. I think trust flow, citation flow, and the general trust ratio will become much more of a key signal to depend upon in the coming years of SEO. More so than link profiles alone because they really tell more of the story at a glance rather than having to go deeper down the rabbit hole in analyzing link profiles. Trust Flow is one of those signals you just can’t inflate. Agreed! That’s a great point about guest posts. Since guest posts have become the go to strategy for “safer” link building, it makes sense to do the bulk analysis of guest post opportunities. You mention outbound links too – That would be be a great way to see quality of a link prospect. That would be going the extra mile and seeing what external links the guest posting sites are linking to / the quality of those links. (Probably achievable with Screaming frog or scrapebox + majestic). Would be cool if there was a tool to automate this process of validating links based on Trust Ratio, Outbound links and traffic. Great insights Brenan!